9. The Norwegian Amethyst Tiara: Worn by Crown Princess Mette-Marit of Norway at a state banquet for the President of Singapore on Tuesday. 8. The Modern Gold Tiara: Worn by Queen Sonja of Norway at a state banquet for the President of Singapore on Tuesday. 7. Princess Mako's Tiara: Worn by Princess Mako of Akishino at the Belgian state banquet on Tuesday. 6. Princess Kako's Tiara: Worn by Princess Kako of Akishino at the Belgian state banquet on Tuesday. 5. 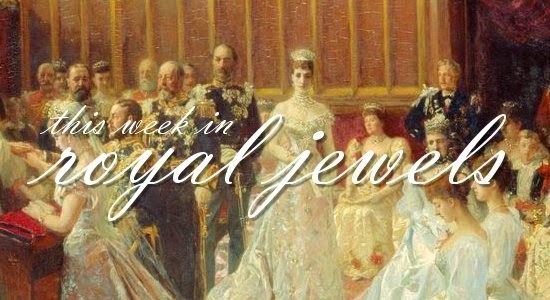 The Akishino Tiara: Worn by the Princess Akishino at the Belgian state banquet on Tuesday. 4. 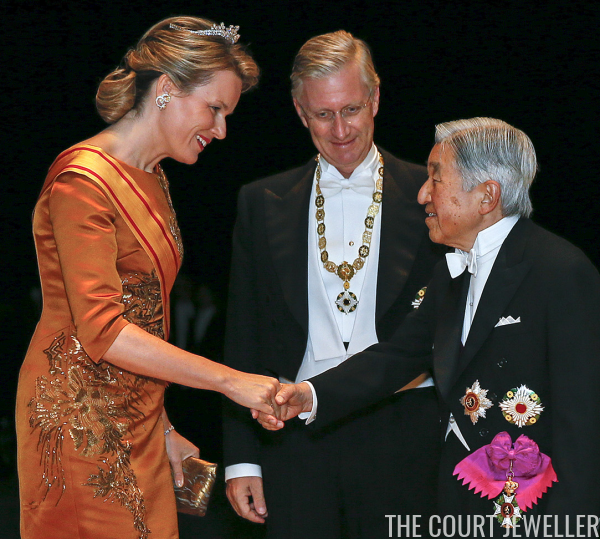 The Pearl Sunburst Tiara: Worn by Crown Princess Masako of Japan at the Belgian state banquet on Tuesday. 3. The Vasa Tiara: Worn by Princess Astrid of Norway at a state banquet for the President of Singapore on Tuesday. 2. 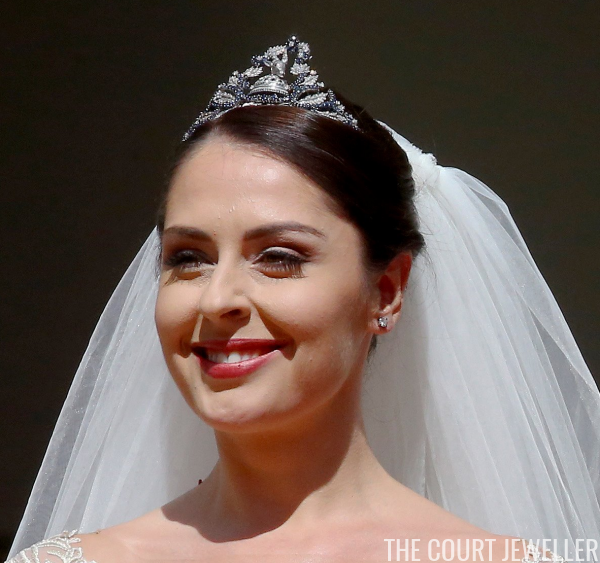 The Albanian Sapphire Ram Tiara: Worn by Elia Zaharia at her wedding to Prince Leka of Albania on Saturday. 1. The Kent Pearl Festoon Tiara: Worn by Princess Michael of Kent at the Albanian wedding reception on Saturday evening.